Charles Aristide, 32, of Elmer Road, Middleton-on-Sea, will have to complete 80 hours’ Community Payback after admitting possessing 50.3 grams of cocaine, a class A drug. 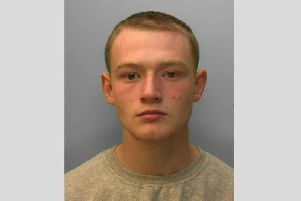 His case was heard at Worthing Magistrates’ Court on Tuesday, February 5, 2019. Aristide was given a community order with Rehabilitation Activity Requirement and Drug Rehabilitation Requirement, which means he must have treatment for drug dependency for six months. He indicated a plea of guilty to possessing 50.3 grams of cocaine in Bognor Regis on September 28, 2018. He must pay £85 victim surcharge, £85 costs. The cocaine was forfeited and destroyed.